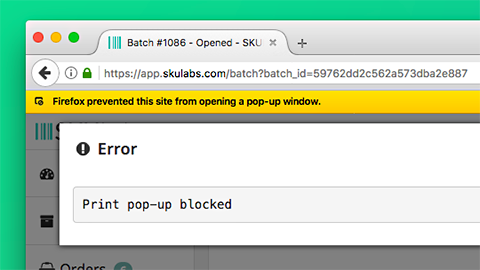 To access that pop-up, and to allow future pop-ups from SKULabs, click the indicator icon. 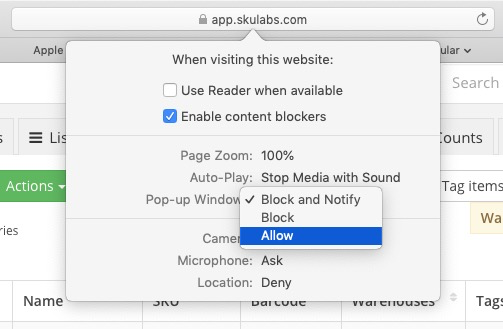 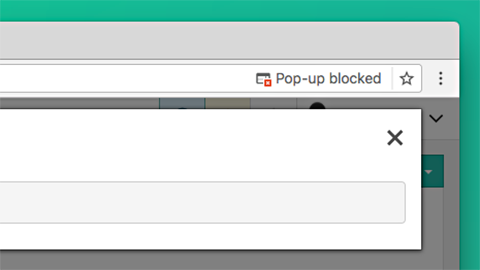 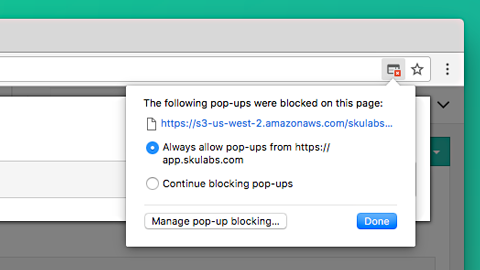 Change the rule to Always allow pop-ups from https://app.skulabs.com and select Done. 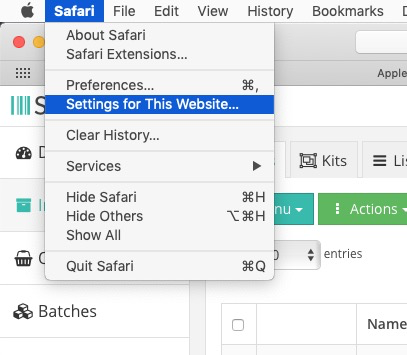 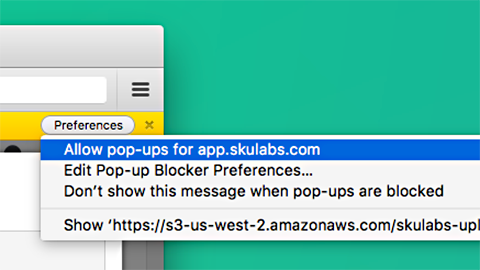 To access that pop-up, and to allow future pop-ups from SKULabs, click the indicator icon, then select Allow pop-ups from https://app.skulabs.com .